Target your most pressing skin concerns and improve the health of your skin with a professional face treatment. Through your skin analysis, we will create a treatment that is customized to meet the needs of your skin. Remember, beautiful skin starts with exceptional care. Includes professional double cleansing exfoliation, extractions, masque, face and shoulder massage, hydrations and solar defense. Combined vitamin and hydroxy acid exfoliation, energizing massage techniques that release tension in the facial muscles and a specialized masque make this the ultimate skin therapy for prematurely-aging dry or devitalized skin. Skin will be noticeably firmer, smoother and revived. Breakouts have finally met their match! We will focus on deep-cleansing, purifications, extractions, and hydrations to target current breakout while helping to prevent future breakouts. Is your skin looking red and inflamed or feeling itchy? 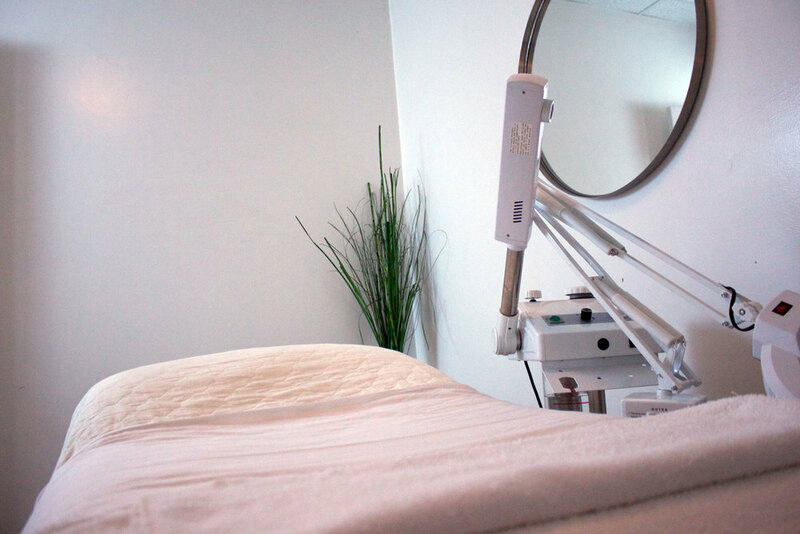 Settle in for our super-smoothing treatment that includes gentle cleansing, a calming clinical oatmeal masque and therapies that help instantly calm redness and reduce inflammation. While skin is the same, men's skin does have different needs and concerns. Target them with this treatment that focuses on deep cleansing, smoothing exfoliation, extraction and critical hydration for healthier skin and a fresh appearance.